Welcome to the world of windows. The best home insulators are finally here and they're taking on any shape and size to match your home's individuality. Beautiful designs that give your home that magnetic curb appeal. Every aspect of window personalization from energy saving strategies to interior finishes, exterior finishes, grille patterns, grille profiles, hardware styles, hardware finishes, and home protection; all of which can be tuned to meet your specific insulation needs and aesthetic tastes. Wood is the best natural window material for home insulation, and the most beautiful. A sign of a well-made wood window is how properly sealed and protected it is from moisture and termite damage. Clad-Wood can be expensive but worth the extra buck as it combines wood's excellent insulating properties and aesthetic with that of vinyl, fiberglass, or aluminum. The exterior cladding facing the outside can be customized with any color or finish while providing the interior with wood's authentic appearance. Composite frames come in a variety of different concentrations of organic and synthetic mixtures, the combination of which is meant to provide more of something - more strength, a longer lifespan, better insulation, and so forth. Fiberglass: The best thing about fiberglass is its ability to provide incredible strength at a smaller volume. Unlike vinyl, it can provide the same relative strength in a slimmer design, providing more glass space at a fraction of the weight. Vinyl windows provide your home with excellent home insulation at an affordable rate. They can be the most cost-effective choice since it is estimated that they can bring your energy costs down by 15%. Aluminum windows are not the best insulators but they are the impact window of choice thanks to their reliable sturdy build. Also, they have the largest catalog of colors and finishes available. Bay & bow windows both have an alcove interior shape and a protruding exterior. They differ only in their number of windows and the angular orientations that comprise them. Bay windows have three windows while bows have four to five. Their alcove shape creates more space for window seats, storage cabinets, decorative items, study desks, kitchen tables, etc. Awning windows protect the interior from heavy rainfall using their horizontal outwardly opening sashes which block water infiltration. This benefit alone is enough to provide homes in places like Long Beach, Washington, and Otis, Oregon with the air ventilation that they need without making a mess on the inside. Casement windows hinge perpendicular to awning windows and open outward from the side. They have locking handles that allow for a swift locking mechanism as a child protection measure, and a locking crank that pulls the window shut for an airtight seal. They are arguably the best ventilators as a result of their outward swinging sail-like sash, which catches drafts of air and guides them into the home. Fixed windows have wide frames and sizable panes of glass with no operable sashes. Their primary purpose is to supply natural light of varying intensity for homeowners that love the morning light. They are typically found in high rise hotel rooms and high-storey houses because they give an unobstructed view while providing protection from intruders and accidents. Picture windows are just like fixed windows only they are smaller in size. They are mostly used to distribute light with a decorative appeal, which is why they are called picture windows. They can be installed over the bathtub with tempered glass for bathroom privacy, in a succession adjoining a series of casements, or as a laminated arch shaped window over the front door. Double-hung and single-hung windows operate in the same way but differ in the number of operable sashes. They are a classic symbol of the American home so they have a kind of homey aura about them. Today's single-hung and double-hung windows slide open smoother and easier than ever before. This is due to the improved constant-force balances that keep the sash in the position you leave it in without relying on pure friction. Some double-hung and single-hung windows have a tilt & turn feature that rotates the exterior glass inwards for easy cleaning. Tilt & turn windows operate on two hinges at any time using the tilting and turning of the handle. 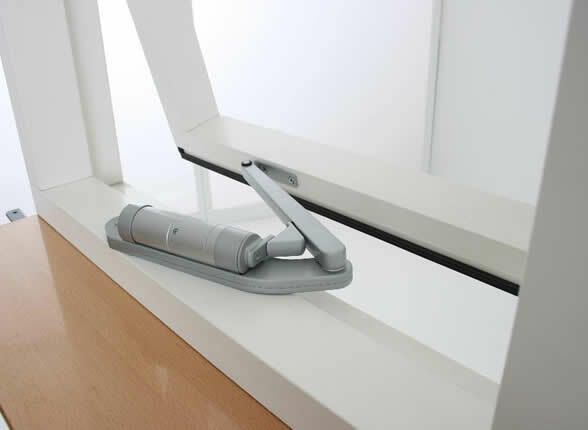 Simply turning the handle 90 degrees to the side will open the window like a casement, shutting the window and turning the handle another 90 degrees will open it as an awning style window. Sliding windows open horizontally using up to three sashes. They are perfect for countertop installations (i.e. study desks, kitchen sinks, etc.) because they do not take up any outdoor or indoor space when opened. Windows perform better in certain climates than others. In order to know which windows are right for your climate, look for Energy Star ratings of a window to know if it's built to perform well in your region. 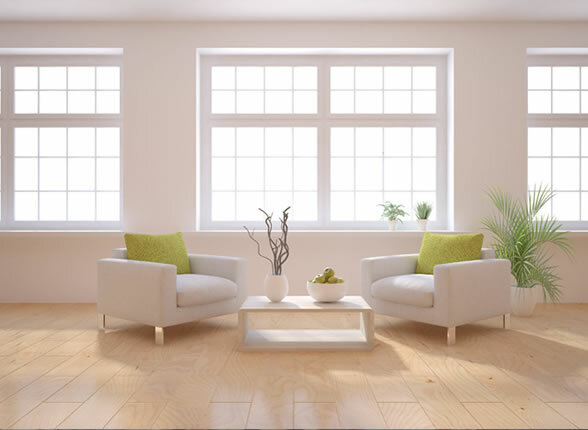 A window's energy efficiency relies on the window's frame material, glass glazing, and low-emissivity glass coating. The material: Wood is the best insulator when compared to all other materials but it is also the most expensive. In descending order, the best window materials for home insulation are wood, clad-wood, vinyl, fiberglass, composite, and aluminum. Glass glazing: Glass glazing involves having two to three panes of glass in the window with even spaces in between to be filled with argon, a nontoxic colorless gas that's denser than air. The more panels of glass a window holds the more insulation it can provide for your home. Low-emissivity (low-E) glass coating also helps your window achieve optimal insulation and can block up to 95% of the sun's UV rays in very hot, sunny climates. For colder regions, however, the low-E coating would block up to 73% of UV rays but is, more importantly, working to insulate your home from cold temperatures. The far northern regions of U.S., for instance, have Energy Star ratings that highlight heat gain and indoor insulation rather than light or UV transmittance. 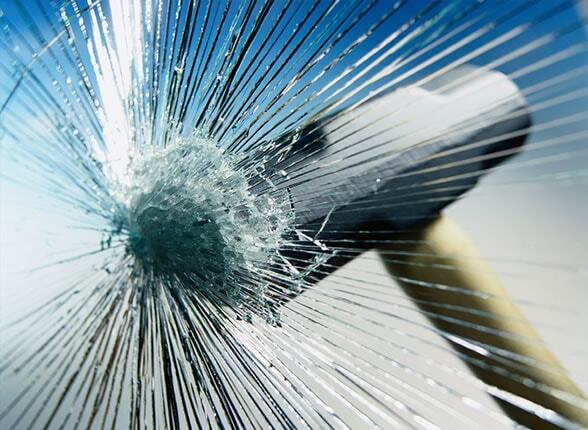 The cost of a replacement window depends on the frame material, the window type, the man hours of installation, the glazing type, and the difficulty associated with producing it. Refer to the table below to see close approximations of various windows types and their installation costs in descending order. Remember - windows with high-quality frame materials, components, and insulation properties are probably going to be on the high-end of the cost spectrum. Replacement Window Type Lowest Avg. Highest Avg. Interior and exterior finishes for wood, fiberglass, aluminum, and vinyl vary because each material is more compatible with some finishes than others. Aluminum is by far the most customizable material because of its ability to be repainted at any point during its life with the widest variety of colors. Fiberglass is limited to darker colors and wood veneer. Wood windows often need to be painted in cases where they are not sealed to protect them against air moisture, termite damage, and rotting. Customizing your windows can even involve having both the interior and exterior frames differ in color, finish, and shape to match the inside and outside of your home accordingly. Grilles are made of the same material, color, and thickness of the window it is attached to. Grilles are meant to give the impression of divided window panes being held within them for an authentically traditional appearance. Wood, fiberglass, or vinyl grille can either be attached to the interior, exterior, or both sides of the window to achieve the appearance you're looking for. The exterior and interior and exterior grilles can have different colors to match both sides of your home. Some grilles even include a foam spacer where they attach to give the impression of divided window panes when up close. Hardware used for windows help ease operability in a fashion that's specific to that window. Here's a look at some common hardware and how essential they are to certain window types. Locking handle (C): Primarily found on casement windows, the locking handle secures the window shut in several areas (such as A and B) in a quick-and-easy operation. This is useful as a simple security and child protective measure. Locking crank (D): This is used in casement and awning windows, the crank provides an additional security measure but more importantly it tightly pulls the sash shut for a stronger weatherproof seal. Cam-action locks achieve the same result as locking cranks only they are exclusive to single-hung and double-hung sashes. They have more than one design, with some more ergonomic than others. 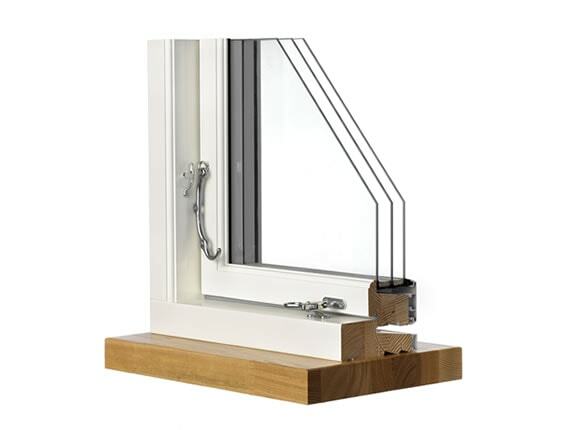 Sash lifts come alongside cam-action locks and are just as exclusive to single-hung and double-hung windows. They are used to slide the sashes open and shut. All items of window hardware have many colors and finishes available for a unique theme to match any interior. A few of these include champagne, white, brown, bright brass, satin nickel, and oil rubbed bronze. Other more antique finishes are available below for traditional home lovers. A quick guide to eight different types of home windows and their operations for any home setting, style, and layout. This detailed overview of all the window frame materials will clarify for you the strengths and weaknesses of wood, vinyl, aluminum, and fiberglass windows. The better home insulation your windows provide, the lower your energy bills will be. Find out what goes into making your windows energy-efficient. The advantages of impact windows can be priceless in the long run; providing a safety net not just for your home but for your finances as well. These four tips will restore your home to mint condition and open your mind up to new ideas of home improvement that you previously didn't consider. Home automation of windows absolves seniors from the manual operation of heavy pulleys while creating an atmosphere of comfort and convenience for the reasons outlined in this article. Transform the look of your home and match its interior and exterior with your choice wood, aluminum, vinyl, and fiberglass window frames. Learn what distinguishes different window operations and from each other and how some types are better suited than others for various home settings. The leading window innovators are competing to give you the best home addition at the most affordable prices. Learn who they are and what their catalogues have to offer. Learn about the insulation performance of certain windows and how they lower your energy bills while keeping your home comfortable. 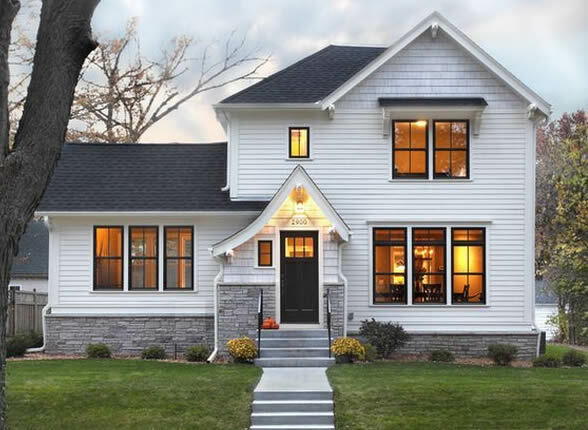 This section will help you understand the prices associated with home windows and how they vary according to the manufacturing process, styles of operation, framing material, quality of components, and man hours of installation. There is more resourceful information to be found in this section that reflect back on the previous aspects of home windows in greater detail. 12-Month Special Financing with NO Interest on Top Windows from Home Depot!